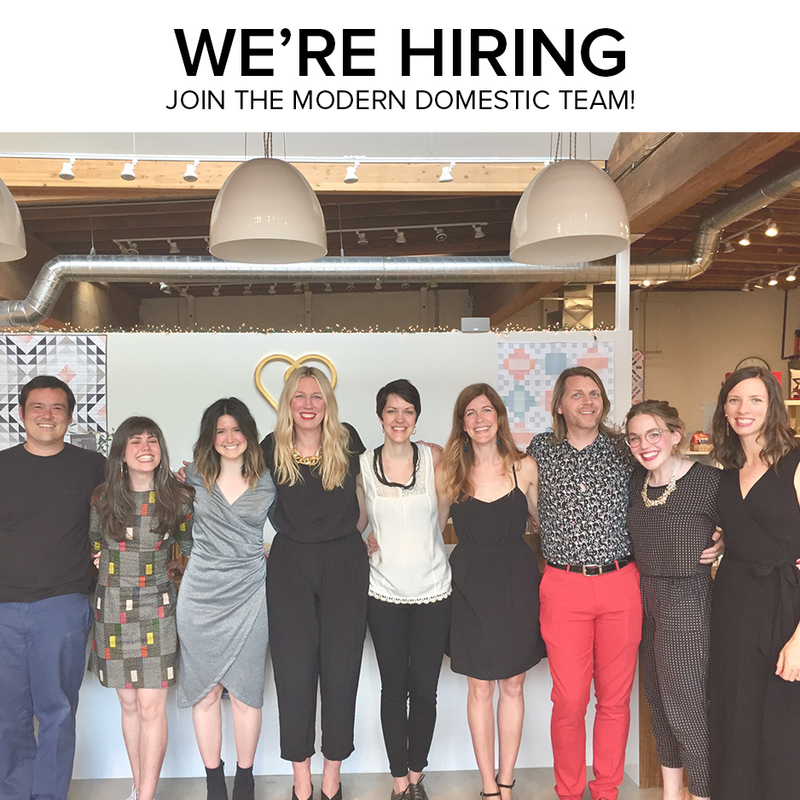 Modern Domestic is looking for a Sales Associate/Machine Educator and Sales Manager. UPDATE: We’re looking for a part-time Sales Associate in Lake Oswego. We are expanding to a second location, which means our staff is growing! Are you passionate about sharing your love of sewing and want to be a part of the MD team? If you love working with people, have great communication skills and attention to detail, are a BERNINA enthusiast, and love to learn, we want to talk to you. Teaching experience not required, but encouraged. Schedule: Saturday and Sunday 9:30-6:30, and weekday availability to cover shifts as needed in Lake Oswego and NE Alberta St. Locations. The right person(s) will have experience with BERNINA machines and accessories, an interest in teaching, can take direction and learn quickly, enjoys working with people and customer service, and have the desire to get people sewing! Ability to work weekends is a must. If that person is you, please apply at Indeed.com with your resume and cover letter. We will reply to qualified candidates with a complete job description and next steps. Please do not call the store to apply or ask questions about the application process. 2. Provide a cover letter within your Indeed submission with your input as to why you believe you are a good fit for our team. Please forward this information to a friend if you feel they are a good fit for us!